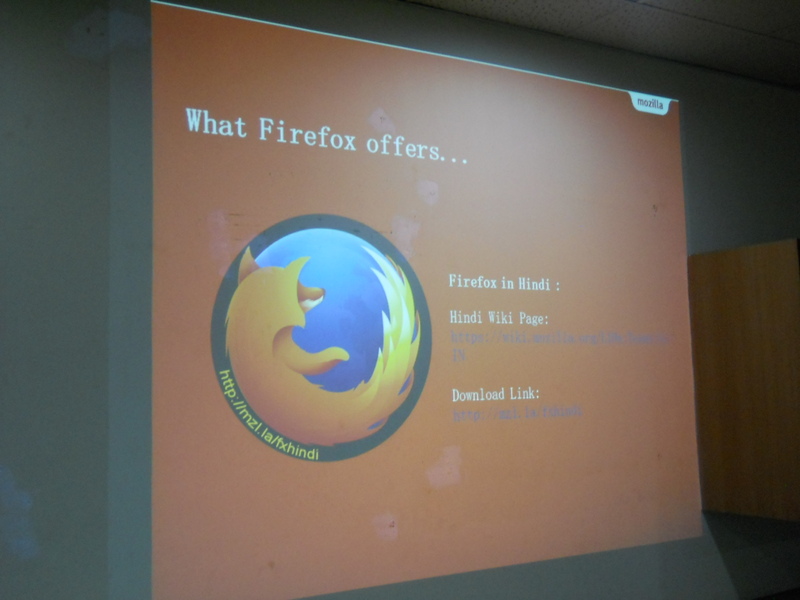 ‘Download Firefox: The IndUS Way‘ meet up on 7th Nov, 2015 at DBS, Liluah saw some amazing enthusiasm among the participants. Some excerpts, directly from horses’ mouth. Recently I was lucky enough to have had such an experience that makes me feel how big the world is… Blogging. A word that brings a lot of questions in your mind, a lot of thoughts in your mind… And to answer it all here we had Subhasis Chatterjee sir who taught us all it meant. 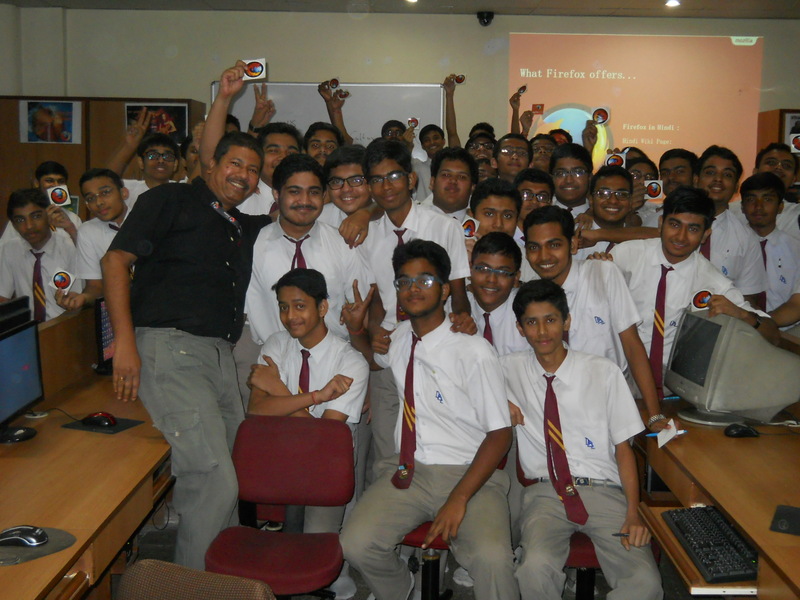 Sir taught us Blogging – its features, the techniques and the processes involved. It all was truly amazing. He took out some time from his busy schedule just to teach us what it all is and how we can do blogging. From the Mozilla’s introduction and its uses and important updates, from Mozilla’s variety of languages to using them all he was there to help us in all these. Our inquisitive and stupid doubts to asking questions not related to the topic we had asked them all. But he answered patiently to our doubts without getting irritated. It was a good experience all together and it was quite a lot of fun. 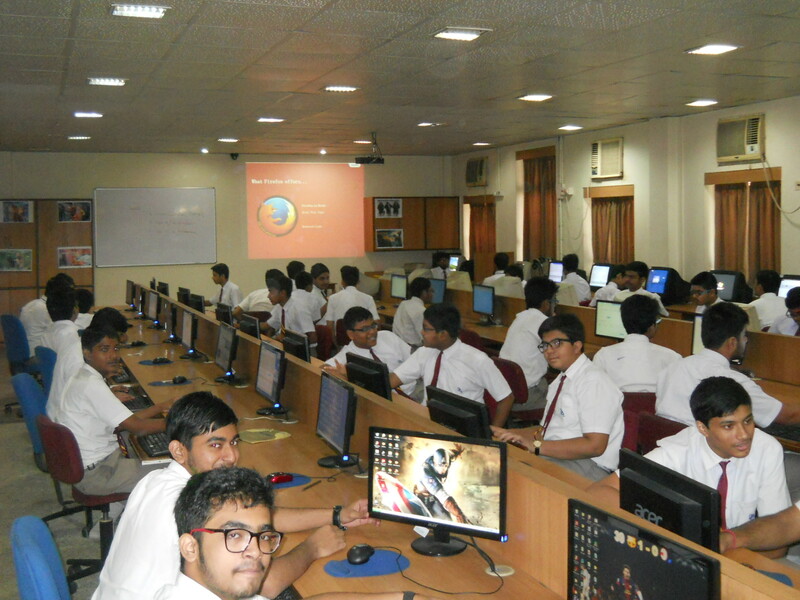 The activities were also interesting and it provided us with enough opportunities to prove our skills. Truly great thanks to Mozilla and ‘Indus’ and not to forget, big thanks to the people behind it. The person who thought about it… And Subhasis sir who accomplished the task. ‘Indus’ is a great mission of uniting India and U.S. It is truly a great thought. Hats off to the people who thought about such a great idea. A small tagline that might help you in the future (although I am not supposed to… still)-‘to unite the whole world through blogging, where style and passion is born. Indus… the blog for a blogger for whom… Pen is mightier than the sword. ..THANK YOU ALL! 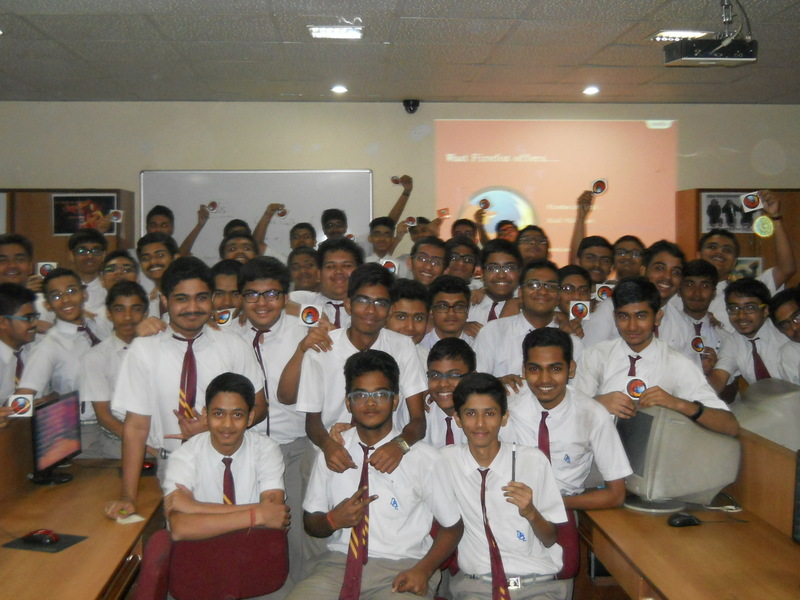 We, the students of the science section had a wonderful chance to take part in this and get some facts and figures clear. 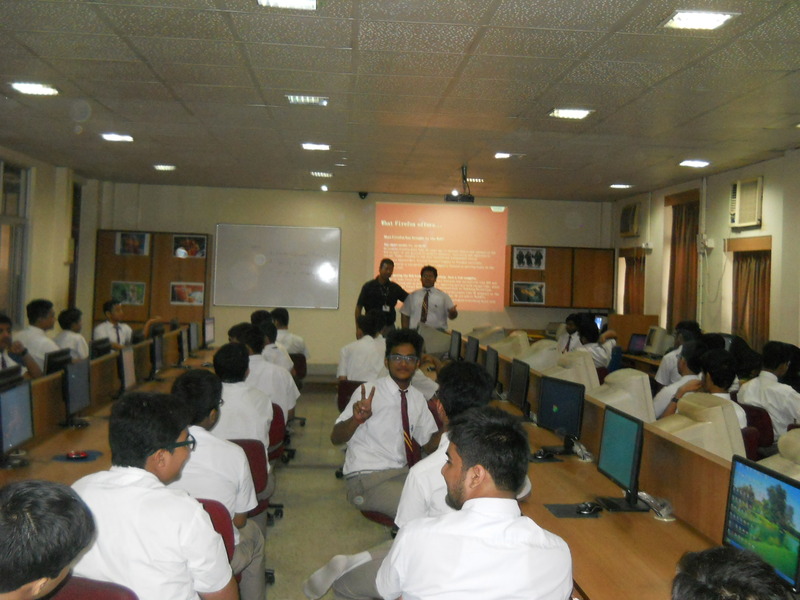 Mr. Subhasis Chatterjee, representing Mozilla enriched us on the topic of the importance of blogging and the Mozilla inititatives. Sir told us about how Mozilla understood the concepts of bridging the inter-communal gap between various communities of India because India is an amalgamation of various cast, creeds and languages. Thus, in a very dynamic and fluid way he introduced us to the new initiatives taken up by Mozilla to release the Firefox browser in 90 different languages, if I remember correctly including Hindi, Bengali, Gujarati, Kannada and many more. I was pretty amazed at Mozilla’s efforts to bridge the gap between various people in India and connect the world through blogging. 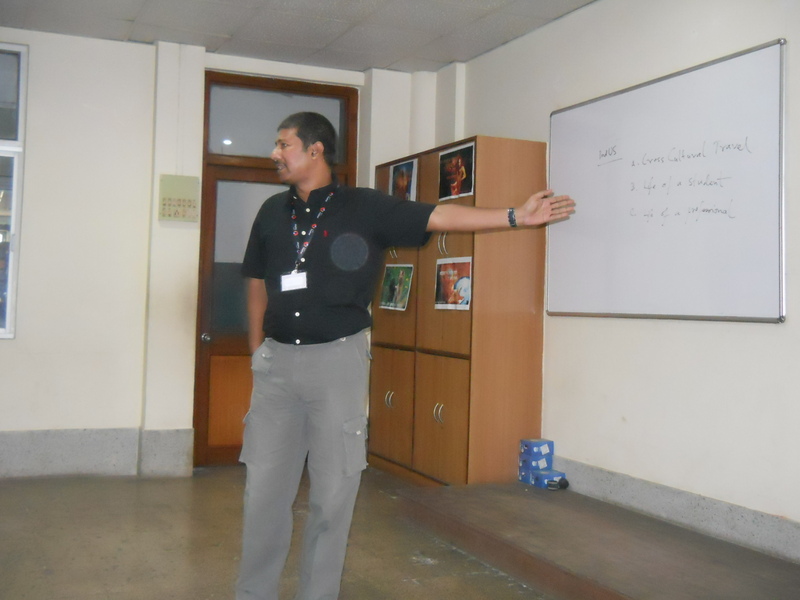 Subhasis sir made us feel at ease. 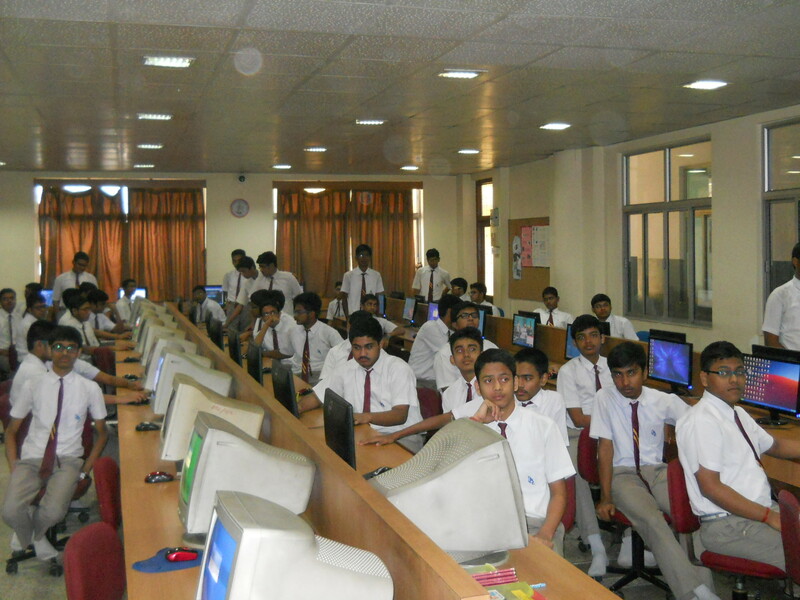 We were also showed how to download the Hindi browser and we downloaded it of our own. Last but not the least, we also got free goodies from Mozilla .So I would like to end this post on the note that making Mozilla native to India and introducing people to blogging is a wonderful head start for making the world a true Global Village…..Kudos to Mozilla!!!!! 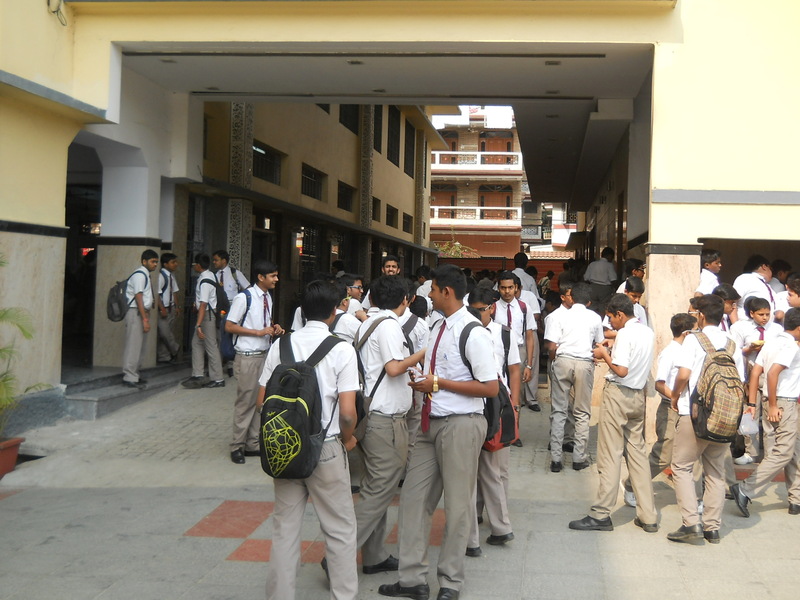 The workshop that you conducted today at our school was highly enthusiastic and is worth an appreciation. 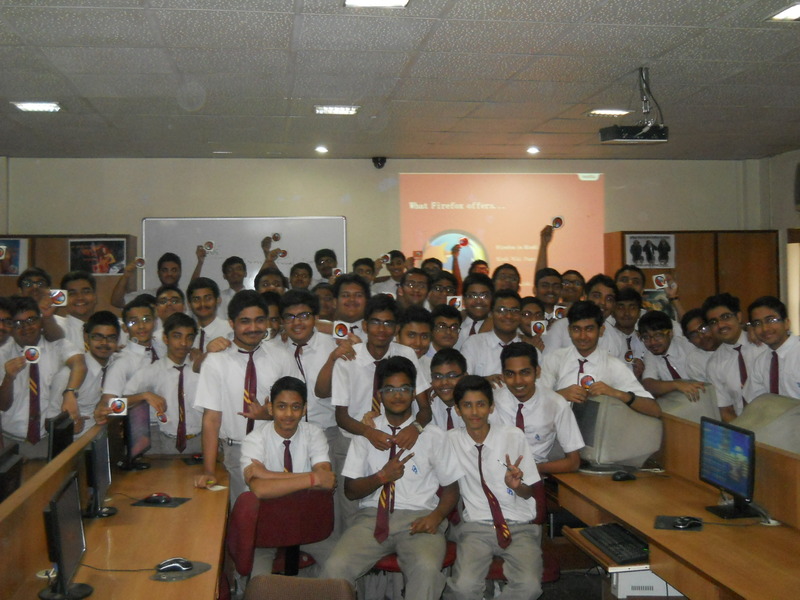 After this workshop, I got somewhat an idea about blogging and also got to know about Mozilla in a better away. Being an inquisitive student forever, I am very glad that I got my questions satisfactorily answered by you. I look forward to meeting you again and hope that I come across many more interesting issues and news and workshops conducted by you. It was a very pleasant experience meeting a highly talented person like you sir….with such an innovative idea and an initiative for the betterment of our community and country. I hereby agree with your thoughts and ideas and I hope that you will be successful in your initiative. Looking forward to many other workshops conducted by you! !